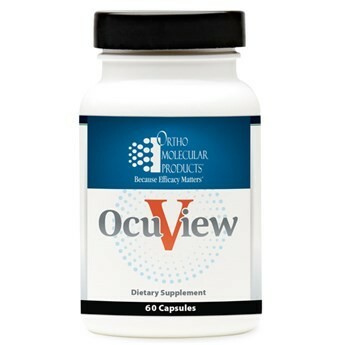 OcuView includes a unique blend of key nutrients, formulated based on current research, which have been shown to maintain the long-term health of the eyesMaintaining the health of the eyes and vision is a major concern for the United States population over 60. The eye is the organ most vulnerable to oxidative issues due to light, toxins (smoke), oxygen, and abrasion. Emerging research highlights the importance of targeted nutritional strategies to protect the macula and enhance visual acuity. In a ten-year, clinical trial sponsored by the National Eye Institute, high levels of antioxidants, carotenoids and zinc were shown to reduce the risk of advanced age-related macular deterioration and its associated vision loss by 25%. In a five-year follow-up trial, higher intakes of lutein and zeaxanthin were shown to provide increased macula protection and reduce the advancement of age-related macular deterioration by an additional 20%.